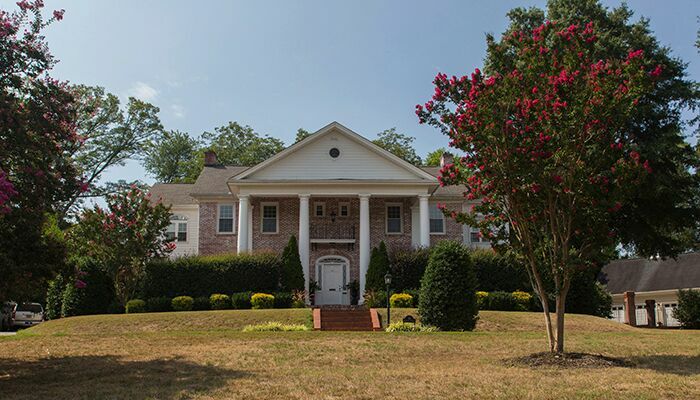 Augusta Road is a long-time, prominent fixture in Greenville real estate. Ideal location combined with exceptional variety make properties in this staple community a hot commodity. Sidewalk-lined, quaint streets bring a wholesome feeling to this neighborhood just on the brim of a rapidly developing city. Covered under the shade of hundreds of old trees, anyone can feel at home here in this storybook destination. Whether you are looking for a newly remodeled home with all of the latest features, or a classic, historic home with elegant charm, Augusta Road has something for every taste. There are endless houses to choose from, with some as small as 1,400 sq. ft. and others sprawling with grandeur. The good news about this neighborhood is that prices start at around $150,000 and go up to over one million. Augusta Road is on the cusp of downtown Greenville, where so many options abound for entertainment. There are restaurants in town to suit every palate, as well as a generous variety of shops. Active residents spend their free time in the city's numerous parks taking in the sights. Those who have a cultural side are pleased to find performing arts centers, museums, and markets all around. The best part is, everything is just a short walk from Augusta Road. Greenville is positioned in the upstate of South Carolina, right at the foot of the Blue Ridge Mountains. Picturesque trails wind through the city limits and beyond, linking Greenville to it's smaller suburbs. Commuting to work is easy, as I-85 and I-385 are easily within reach. Fabulous schools and low crime rates only add to the appeal of Augusta Road and make it a wonderful place to call home.